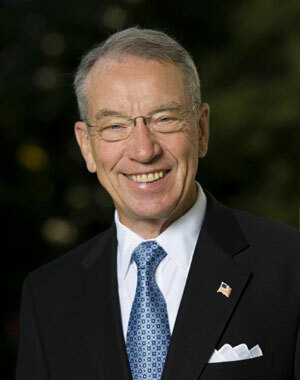 Breast cancer would be eliminated by the end of the decade under legislation being introduced by Iowa Senator Chuck Grassley. It comes on the heels of a report released at the University of Iowa last week that names breast cancer as the number-one cancer to strike Iowa women and the number-two cancer killer. Grassley’s wife, Barbara, is a 28-year breast cancer survivor. He says, “This issue is personal to me and really, it’s personal to all of us.” The “Cancer In Iowa” report estimates 22,050 breast cancer cases will be diagnosed in Iowa women this year and 390 women will die from it. It says breast cancer is the number-two cancer killer of Iowa women behind only lung cancer.